SOROTI. The Ugandan penchant for grandeur at public ceremonies has started biting officials. 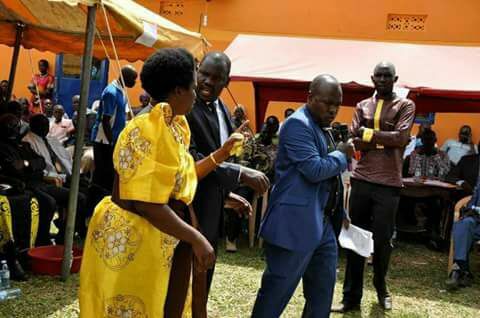 And Teso Affairs minister Agnes Akiror will try to forget what she cooked up and tried to eat Monday afternoon in Kamuda Sub-county in Soroti District at the burial of former legislator Peter Omollo when she tried to play big only for things to backfire in her face in dramatic style. 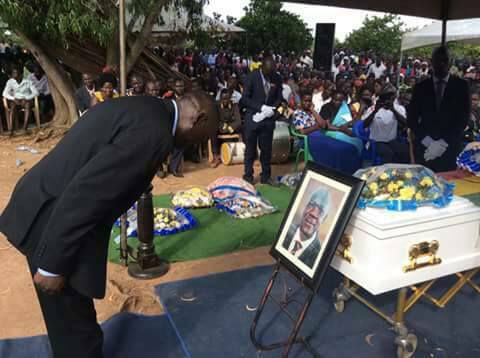 Former Serere County MP Stephen Ochola had asked minister Akiror to deliver President Museveni’s condolence message at the burial of the former Soroti County MP who passed away last week but the NRM legislator took offence at the apparent order of speech giving. Akiror reportedly received the microphone and immediately launched a verbal attack at Ochola who was the master of ceremonies at the burial for “breaking protocol” by inviting her to speak before other people such as the FDC chairman Wasswa Biriggwa and party President Mugisha Muntu. In her reasoning, she was the President’s representative and, therefore, the ‘chief mourner’–a peculiar noun for self-grandeur that has come to be characterised with Ugandan officials at such ceremonies. She wanted to speak last. Mourners couldn’t take this in and started heckling loudly and demanded that she is dragged away. MC Ochola had to rush to her rescue and take away the microphone, and like he had been out to humiliate her, asked why the late was not accorded a state funeral. “If the President’s representative cannot answer these questions, then her condolence message is not required,” local media quotes Ochola as saying. The exchange of words continued until some police officers intervened and talked calmness into the rival parties. Former FDC secretary general Hon Alice Alaso, who is also the deputy party president for Eastern Uganda, used the opportunity to attack President Museveni who she accused of double standards. “We have people in leadership who don’t know or don’t care about their roles,” remarked Alaso, wondering why the President couldn’t accord Omollo a decent send off for his service to the country. Meanwhile, Mike Mukula the NRM vice chairperson Eastern Uganda pleaded with the FDC officials and livid mourners to put their political differences aside and work together for the the good of the country. The low-toned Mukula said Uganda needs all its citizens and citizen needs Uganda. “What stops me from taking a cup of tea with Dr Besigye, Gen Muntu or other opposition figures if we are discussing issues of national security?” he wondered. “Let’s learn to separate politics from development,” he added. 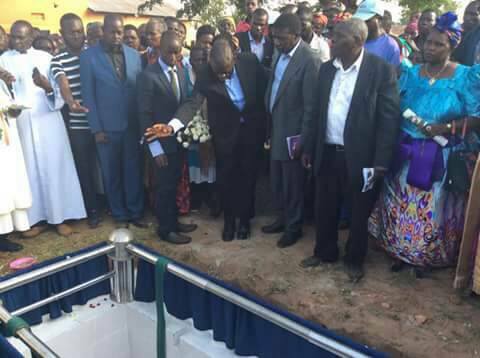 Later when calm returned, the burial service continued for the departed former legislator, who succumbed to pneumonia in Kampala last Thursday.